When people think of manufacturing, they typically imagine cars, airplanes, electronics and home appliances, but many of the opportunities for production in the U.S. may be on a much smaller scale, according to Bloomberg Businessweek. Many manufacturing companies have under 500 employees, however, they still have great potential to grow. Some people believe the manufacturing renaissance is due to the reshoring movement, but small-business manufacturers will most likely be responsible for the highest amounts of growth in the sector. Direct labor costs are causing offshore manufacturing destinations like China to lose cost reduction advantages, the Washington Post reported. As technology has improved, American worker productivity has increased, which has made the case for reshoring production compelling. Despite this positive news, most of the new manufacturing positions in the U.S. have not been the result of companies returning operations. 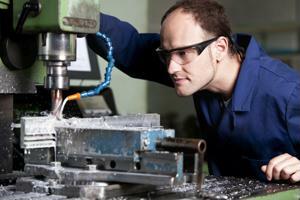 The average U.S. manufacturing company has less than 50 employees, Businessweek stated. Some studies show that smaller manufacturing firms produce a greater number of innovations per employee. Many experts believe new manufacturing positions will come from these firms, and small companies provide parts and components to larger manufacturers. Small and mid-size manufacturers account for one-third of total U.S. export value, Businessweek said. Unfortunately, small-business manufacturers often have difficulty obtaining financing and venture capital to restructure and grow, which can make it difficult to manage business overhead costs. Metropolitan areas that have the most manufacturing momentum often have the highest amounts of economic growth and job expansion, according to Forbes. Cities with higher levels of manufacturing production have experienced greater job growth overall. With the rebound of car and truck sales, many cities with high concentrations of auto production have increased manufacturing and high-tech employment.